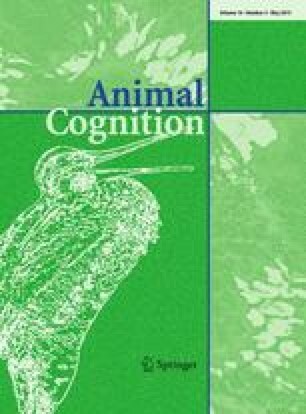 Both in humans and non-human animals, it has been shown that individuals attend more to those they have previously interacted with and/or they are more closely associated with than to unfamiliar individuals. Whether this preference is mediated by mere social familiarity based on exposure or by the specific relationship between the two individuals, however, remains unclear. The domestic dog is an interesting subject in this line of research as it lives in the human environment and regularly interacts with numerous humans, yet it often has a particularly close relationship with its owner. Therefore, we investigated how long dogs (Canis familiaris) would attend to the actions of two familiar humans and one unfamiliar experimenter, while varying whether dogs had a close relationship with only one or both familiar humans. Our data provide evidence that social familiarity by itself cannot account for dogs’ increased attention towards their owners since they only attended more to those familiar humans with whom they also had a close relationship. This research was funded by the Austrian Academy of Sciences (DOC-fFORTE) and the University of Vienna (Forschungsstipendium) with grants to L. Horn. L. Huber and F. Range were supported by the Austrian Science Fund FWF (P21418 & P21244-B17). The Clever Dog Lab is supported by Royal Canin and a private sponsor. We thank B. Scaf for doing the double coding and L. Wallis and two anonymous reviewers for helpful comments on an earlier version of this manuscript.